Cellophane is a very thin film that is produced from the regeneration of cellulose. It has a low permeability level, which makes it ideal for keeping out water, air, greases and oils, and bacteria. It can be used to seal food because it keeps out any contaminants and keep the moisture secured in your food items, keeping them fresher for longer. Cellophane can cause babies and younger children to choke. If you are looking to send a gift to someone with children, substituting cellophane could be the safe idea. Cellophane is convenient and colorful, and holds firmly. Even though cellophane is difficult to beat, here are a few options you may consider instead. 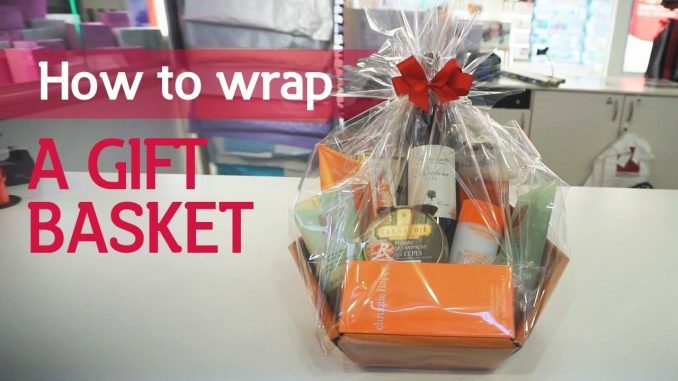 You can embellish all these gift basket wrappings to make them more appealing. 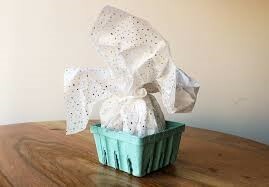 You can use food grade tissue to cushion your gift basket’s items for all these alternative methods. Tulle is a type of popular net fabric that is common with wedding veils, pillow case finishing and embellishment in clothes. It can be made from a variety of synthetic and natural materials, and is much safer than cellophane. String nets are available in a variety of sizes. A fine sized string net will make a unique and minimalist gift basket wrapper that is inexpensive and safe for households with babies. You can make a personalized wrapper with a printed fabric bag. It is better for the environment, safer around children and can be used to deliver personalized messages for an even better touch. You can also use brown grocery bags, which can be cut up to make them more flower and exciting. They could also reuse the fabric bags in future, making them enjoyable dual-purpose gifts in themselves. The newspaper is a simple alternative to cellophane when it comes to wrapping gift baskets. While it requires little effort, you can use unique newspaper cutouts to personalize the gift basket. Using a comic could make it more colorful and enjoyable to the recipient. Like other paper alternatives, wallpaper is a great alternative for people who already have some leftover from their last home maintenance project. Wallpaper is usually available in a sufficient size, is flexible and colorful, and can hold securely without tearing. For a unique presentation with an additional gift, a clay pot can be a great gift basket wrapper. 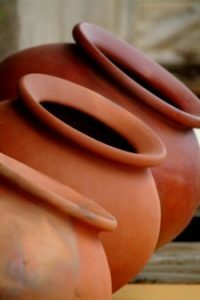 You can cover your clay pot with a large lid to avoid ruining the surprise. For best results, you should find a pot big enough to hold your basket. You can find great alternatives to cellophane wrapping paper for your gift basket. Your gift will be personal and safe for recipients with children. Some of the alternative wrappers on this list can also include personal messages and embellishments, which would improve the appeal of your gift basket. There are also inexpensive options, such as the wallpaper and newspaper covers. 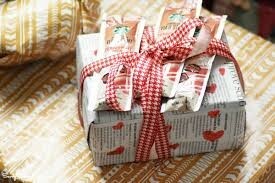 For singular gifts, items can be placed in unusual wrappers such as cereal boxes and open containers.